"We are exceedingly grateful for the court’s decision to support the full wilderness protection for the magnificent Drakes Estero,” said Amy Trainer, executive director of the Environmental Action Committee of West Marin, referring to the oyster farm's location in Point Reyes National Seashore. 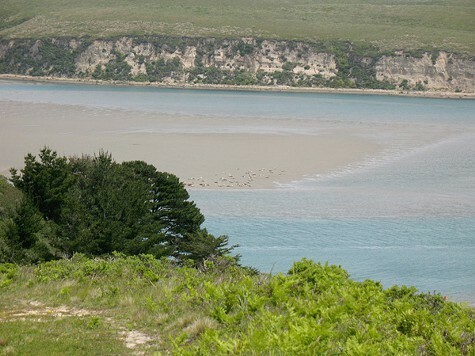 The court's ruling also upholds a November 2012 decision by then US Interior Secretary Ken Salazar, who refused to renew the oyster farm's lease after it expired at Point Reyes. Salazar had noted that the US government had never before extended a lease of a "non-conforming" business — like an oyster farm — on public land that had been designated by Congress to become full wilderness. The oyster farm sued to overturn Salazar's decision. And conservative groups latched onto its cause in an attempt to expand the rights of private companies operating on public property. But the oyster business has now lost in three separate court rulings. It's unclear whether it will now appeal to the Supreme Court.